Below represents a "in the nut-shell" look at what I have learned over my last 8 years of clinical practice working with the connective tissue and of all of you 'go getters' and business professionals throughout Boise. Study and implement the following self-care information and your business and personal relationship will improve immensely. You'll find simple yet effective free self-care strategies as well as studio-care that I offer our business professionals at the studio and on-site. Below I will share with you some basics to maintain and some detailed work I do in the studio in the event you wanted to advance the care of your connective tissue in relation to being desk-bound or stressed from the intense pressure of a typical work environment. Enjoy this page dedicated solely to improving the health of every business professional or aspiring entrepreneur whom comes across it. "I have seen Brandon consistently for over six years and I cannot recommend his work more highly. His massages are therapeutic and healing. I have chronic neck issues and Brandon's massage work is one of the most effective methods I've found for keeping my headaches at bay. In addition to body work, I've benefited from Brandon's extensive nutritional knowledge and was fortunate to work with him as a health coach this year. Brandon is not only a talented body worker but one of my favorite humans. He's whip smart, informed, positive, funny and kind. I always leave his massages feeling physically better and happier overall. Thank you for your wonderful work!." For on-site chair massage visit this page. These are some brief examples of assessment tools used at Body Epiphanies Massage & Nutrition to determine where to direct manual therapies for each specific individual. Not every session requires testing to this degree, however in difficult cases for those business professionals in chronic stagnate patterns it is important to assess and reassess to determine if therapies are appropriate for each individual client. Movement from being desk-bound is absolutely critical to longevity and feeling more alive. A major tissue typically unaddressed or neglected do to a poor understanding of its involvement with the entire shoulder girdle functioning. This is often times tight on those desk-bound. The following videos will go a little more into specific trigger point therapy, myofascial release techniques used in the studio. Manual Muscle Testing: Serratus Anterior - Technique, modifications for provocation, human movement science and recommendations for corrective intervention. 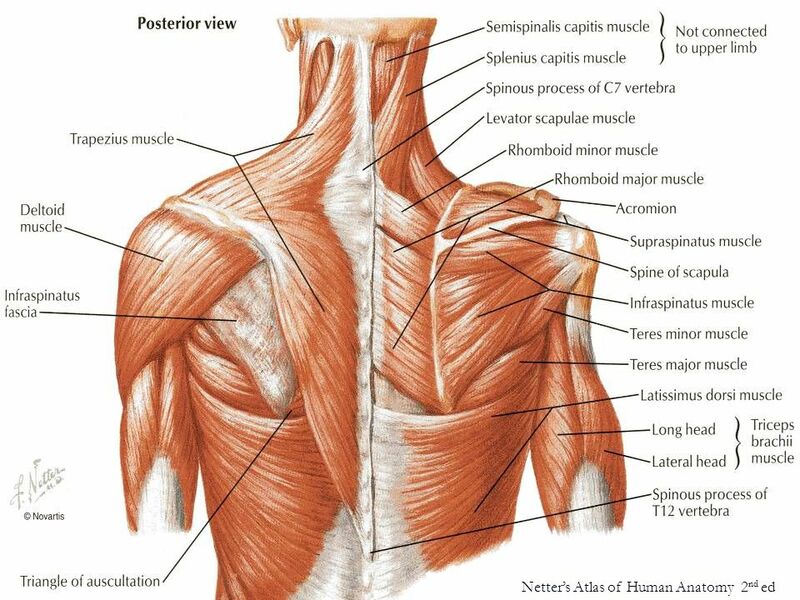 Static Manual Release (Soft Tissue Mobilization) of the Pectoralis Minor - Discussion, technique, implications and best use. This is absolutely necessary to treat in nearly any one who is stuck in a seated position or are working with their arms out in front of them on a regular basis. Another commonly ineffectively treated area. A great video showing you some basics in the realm of restoring a healthier range of motion. This is critical for anyone desk-bound and flexion-addicted as it were. This video has cursing so this is not safe for work. That being said I strongly encourage everyone who came to this page to listen to this as it could change your life. Great tip for those suffering from lower back pain, which is something that happens with most people at some point in their life if they have found their careers requiring them to sit regularly. Hands down some of the best advice for restoring function within the trunk and pelvic dysfunction. Poor posture is the number one problem throughout the world that leads to spinal degeneration, bulging disc, disc herniation, arthritis, pinched nerves, and pain. This exercise is a simple and very effective where you can do this at home or while traveling. Dr. Brendon Bradley shows how to identify and correct forward head posture and upper crossed syndrome. This is the most common poor relationship with gravity that we humans face on a daily basis. This information is invaluable. Sitting in a chair is natural part of being a modern human. The problem with any chair, is that it's intrinsic design doesn't leverage the evolutionary, physiologic, stabilization anatomy of our bodies. In short, the chair forces a host of movement compensation on us. In this video, Dr. Belisa Vranich explains how being conscious of your inhalation and exhalation can help enrich, oxygenate and heal your body. She also shares a technique that will help you stop risking neck and shoulder pain by breathing with your chest and explains how expanding your belly and back when you breathe is the way nature intended you to do it! "We love displays and symbols and stuff that quickly and silently tells the world who we are. Better yet, we love visual reminders of who we want to be."